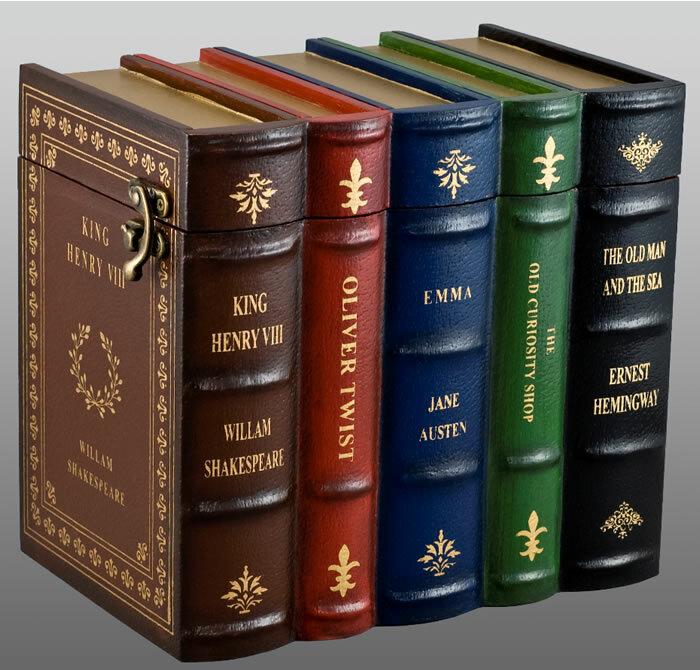 Our Classic Literature Book Set Wood Cremation Urn is the perfect urn for the lover of classic literature. The set of five classic book titles is detailed enough to fool the casual observer as it sits among the other books on a bookshelf. The wood urn has a hinged top lid for easy access and is secured with two side latches. The interior is lined with cloth. Click on the tab titled Detailed Images to view a larger photo of the urn. This urn is fabricated from MDF (medium-density fibreboard), which is more uniform than natural woods. It is often used for wood urns that are painted. Holds appoximately 210 cubic inches which is large enough for most people with a healthy weight less than 210 pounds.